A federal court handed hedge fund manager David Einhorn an initial victory Friday in his push to get Apple to share some of its vast cash hoard with shareholders. 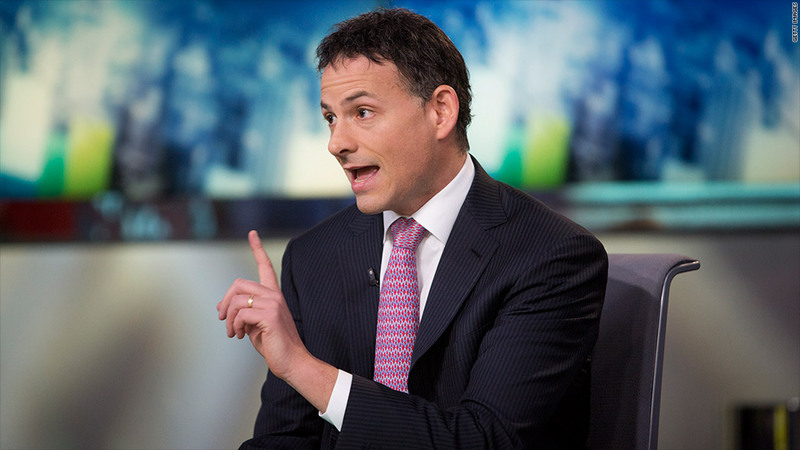 Einhorn's Greenlight Capital filed a lawsuit earlier this month seeking to "unbundle" a number of shareholder proposals that would have been voted on as a group, including one that would have made it difficult for the company to issue preferred stock. The vote on this, known as Proposal No. 2, was scheduled to be voted on at Apple's annual shareholder meeting on February 27. Judge Richard Sullivan of the Southern District of New York ruled that bundling four different items in one proposal violates Securities and Exchange Commission regulations. "Given the disparate, material nature of the items in Proposal No. 2, it is probable that Apple has improperly bundled four 'separate matters' for a single vote," the ruling states. Apple (AAPL)shares rose 1% on Friday. News of the ruling came just a few minutes before the market closed. Einhorn has launched an activist campaign to get Apple to unlock some of its $137 billion in cash by issuing preferred stock, or iPrefs, as he calls them. He argues that allowing the cash to sit idle on Apple's balance sheet is bad for the company and its shareholders. A spokesman for Greenlight said that the ruling "is a significant win for all Apple shareholders and for good corporate governance" and added that "we look forward to Apple's evaluation of our iPref idea and we encourage fellow shareholders to urge Apple to unlock the significant value residing on its balance sheet." But another big Apple shareholder was not pleased with the judge's ruling. California's powerful pension fund, CalPERS, supported Apple's proposal, which it said would give shareholders more voting power over the issuance of Apple stock. "We encourage Apple to reintroduce these measures as soon as is practical so that all investors can be heard," said Anne Simpson, a CalPERS senior portfolio manager and director of global governance. "We applaud the company's commitment to strengthening shareholder rights." Apple has said it is reviewing Einhorn's proposal, but CEO Tim Cook has called the lawsuit a "silly sideshow." Spokespeople for Apple could not immediately be reached for comment.